This oil is amazing and so many reasons why you need to have it within reach. Here are 8 uses for peppermint essential oil. 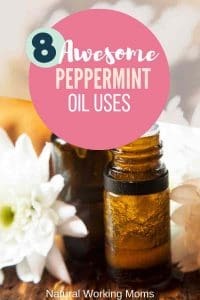 Usually I just do 5 uses, but Peppermint is too great! It has so many uses that I had to include seven. I always have pure and quality peppermint essential oil close by because I am always using it for something, whether by itself or with other oils. Peppermint is amazing for a quick pick me up. Whenever you are tired or just dragging in the afternoon, peppermint is what you should use. Either put on the back of your, put a couple drops in water and drink it, or put it under your tongue. Just make sure you get it there for an extra boost of energy. The best part, you get that energy right away, no waiting for it to take effect. Peppermint is incredible for headaches. If you feel a headache coming on, put peppermint on your temples. It will stop the headache in it’s tracks. You might need to dilute the peppermint because it might make your eyes water. Also, you can just smell the peppermint, just open the bottle and breathe it in deeply. It will help make the headache go away. Plus, it will help with nausea that sometimes come with a headache. Helping with stomach upset is also one of the great uses for peppermint essential oil. You know when you start to feel your tummy start to hurt, maybe from something you ate, or maybe just because. You can rub peppermint essential oil directly on your belly or you can breathe it in just like with a headache. It can help with that yucky feeling. I especially like to use for heartburn. Just rub peppermint oil directly on you chest on the spot where it hurts. Within 30 seconds, you will feel so much better. Can I just tell you, when my son was little, when he got sick, his lungs would be become incredibly inflamed. So the doctor would give him medication that would help this, but the side effects would cause him to be hyper and not be able to sleep. He would be up all night, literally running circles around his room. Then, I discovered peppermint essential oil when he was about seven (wish I had found it sooner). Now, as soon as I hear any kind of cold going into his chest. I put diluted peppermint essential oil directly on his chest. And it works! He hasn’t had to take medication for his lungs for years. You need to try this for your kiddos. As soon as you hear any cold in their chest, put peppermint oil on it. You can do this for yourself also. And since it is essential oil, you can do it as much as you want to keep that cold away. One of the amazing uses for peppermint essential oil is for cooling. So if you are out in the hot sun, or are just getting overheated, put the peppermint on the back of your neck and it will cool you right down. 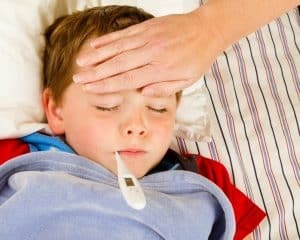 Also, a little known secret, if your kiddo has a fever, put the peppermint oil on their spine and the fever will come down in a matter of minutes without using medication. Peppermint essential oil is amazing at keeping pests away. Pretty much any kind of pest hates peppermint. I spray it around my kitchen where I had ants every single year. This year, for the first year ever, no ants! My sister had mice in her garage, and her husband put almost a whole bottle of peppermint around the garage. That might have been a little much, but the mice have now moved on. So all I do is put a few drops of peppermint with water into a spray bottle and spray it everywhere. And you can do as much as you want. And if you use quality essential oil, then it is okay to spray around pets. One of the great uses for peppermint essential oil. Yes, when you are a nursing mama you need to stay away from the peppermint essential oil because it can decrease the milk supply. But what about when it is time to wean the baby? My sister-in-law nursed both of her babies, and my nephew got a cold when he was older and he couldn’t breathe and nurse at the same time, so he just stopped nursing cold turkey. She was in horrible pain for quite awhile. But if you apply peppermint directly on the tatas, this will help dry up the milk so there isn’t so much pain when your baby is ready to wean. Peppermint is amazing to freshen breathe, that is why there are so many breathe mints on the market, but these all contain synthetic peppermint flavoring and sugar. But one of the great uses for peppermint essential oil is to freshen breathe naturally. You can either use as a mouth rinse, so put a couple drops of peppermint in a little bit of water and swish it around. You can either spit it out, or you can swallow it, if you are using good, quality essential oils. This is very different from regular mouth washes that you should not swallow. Or you can just put a drop of peppermint essential oil under your tongue. This can be a little intense. But it will definitely freshen your breathe. If you don’t want to do either of these, put the peppermint and the water in a spray bottle, then you can spray into your mouth. 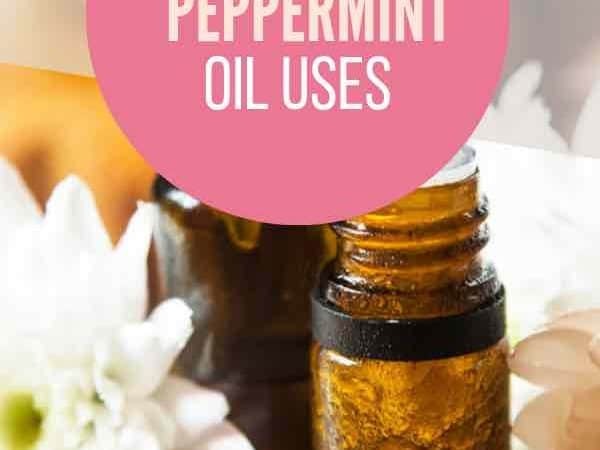 So, like I said at the beginning, usually I do just five uses for an essential oil, but there were just so many I wanted to put in for some uses for peppermint essential oil. I couldn’t just stick to five. So I gave you eight practical uses. You are going to want to try all of these.